Most of us who have iPhones love them, but after a year, the problem with a smart phone is that the battery gets weaker and weaker. It is glorious in the first six months when you plug your phone in at night and don’t even think about power levels until the next evening. But at about 6 months, you start to get nervous mid-afternoon so you re-charge it to last the rest of the day. After a year, you’re plugging your phone back in at lunch-time, and then half an hour before you leave the office, because that battery is getting weaker and weaker and weaker. At the end, you plug it in every chance you get. This process, sadly, is never reversed. Once the battery starts draining, it just keeps draining faster and faster until you cling to the two-year deadline to get a brand new phone without having to pay extra. The same principle applies in many marriages. The passion is so intense when the relationship is new that it seems to charge itself even when you’re apart. It doesn’t need special care. It doesn’t need to be plugged in. It seems to supply its own passion. But sooner rather than later, the passion begins to drain. And that can often mark a downward slide that, sadly, is sometimes never reversed until the couple gives up, trades each other in, and gets a “new” partner. There is something we can do, however, to reset our passion, to recapture those days when our passion sustained our relationship as opposed to mocked it. It’s crucial that you understand what often drains a marriage: unfulfilled demands and unfulfilled expectations. Those two realities drain our “batteries.” The challenge is that no human being is capable, long-term, of fulfilling all demands and all expectations. Which means every marriage will be drained unless we change the demands and change the expectations. That’s what mission does. That’s why I talk in A Lifelong Love about letting a “magnificent obsession” fuel the passion in your marriage. Until you and your spouse get to the point where you realize you were made for more than each other, you will drain each other. Consider this: if I think my wife’s calling is to make me happy and feel secure and loved, but out of any number of reasons I feel unhappy, insecure, and ignored I will drain her faster than a single Google search drains a three year old iPhone. But if my expectations are that she is called of God to seek first His kingdom, my expectations will be to support her, listen to her, and encourage her in fulfilling that call. Unchecked self-centeredness drains every marriage, every time, every day, until there is nothing left. If you are not seeking to help your spouse fulfill all that God has called them to fulfill, you are draining your marriage. If your focus is primarily on how your spouse is treating you instead of whether they are being faithful to their call, you are draining your marriage. If you are frustrated that your spouse doesn’t pay enough attention to you while not even considering whether they are attending to God’s call on their lives, you are draining your marriage. 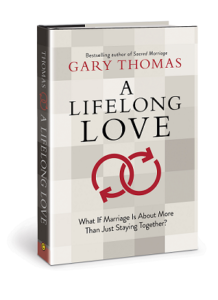 The secret to a lifelong, fulfilling marriage is caring about more than your marriage. It’s about learning to share a passion outside of your marriage. It begins with not making yourself the center of any universe, including the universe of your marriage. At root, these are all merely the symptoms. The disease is a self-centered marriage that isn’t about mission but has become about personal fulfillment. 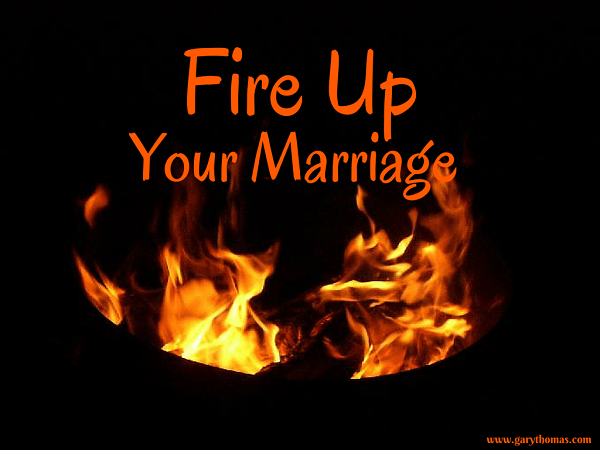 To re-charge your marriage, rediscover your mission. Rediscover your passion. Even better, rediscover your spouse’s mission. Help your spouse rediscover their passion. Care about theirs as much as you care about your own. When we do that, the Holy Spirit pours out His equipping and empowering presence, so your marriage can’t be drained, any more than God could ever get tired. If your marriage is continuously being drained, what that tells me is that you’re plugged into the wrong thing. Your passion is drawing from the wrong well. “Seek first the Kingdom of God and His righteousness, and all these other things will be added unto you as well.” (Matthew 6:33). 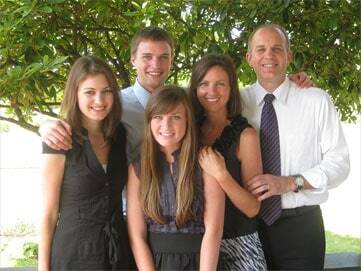 I’m blessed to follow your post Mr Thomas, I’m from Rwanda , I’m married and waiting for baby . Here I can witness a love without a wrong reason, I love my wife we went at school together we were in relationship for 6 year before getting married . what I can say is that when you love your spouse you really don’t have any reason. I love her for every second , but I don’t have any reason. I just love her. God bless you for this blog. I have been blessed with a wonderful husband and I pray for him constantly..I see the Lord working in our lives so much and God’s grace and mercy is so amazing. My hubby is not a CHRISTAIN, so my guestion is I find this hard to do,except to pray and be interested in the things he enjoys,like fishing,hunting,gardening…we have been married for 48 years praise the Lord! !please pray for his salvation i see the Lord working on him every day..Thank you for the encouragement. Linda, you’re doing exactly what the wives I interviewed in Sacred Influence found to be most effective: remaining a friend, doing friendship things, to keep the door open to sharing their faith. Admittedly, you’ve been on a really long journey in this regard… One thing I’ve found couples in this situation can do is for the believing spouse to find mission work the non-believing spouse can share in–perhaps a house-building project, something like stopping sexual-trafficking, providing clean water, etc. You will be motivated by your faith, but many times there are any number of godly pursuits/good works that non-believing spouses can join in enthusiastically even without faith. Also keep in mind, your marriage and friendship to this man IS a “mission pursuit.” You’re living/working/praying to see a lost child come to the knowledge of grace and truth. May God give you courage and perseverance and supernatural love to bring this man fully into God’s Kingdom. Well, you and David have an abundance of purpose! Thanks, Gary, for the prompt and helpful response! Also, your message on Sunday was a life-changer for me and my husband. Well done, good and faithful servant! Such profound wisdom! Gary, there’s no doubt that the LORD is counseling and instructing you. I’m wondering what this looks like on a day-to-day basis, seven days a week, when a couple throws in the variables such as jobs, children, acute and chronic illnesses, financial strains, ailing parents, etc. I feel like this message comes straight from Phil 2. Thank you for the messages you bring to us frim the heart of God! At times, caring for children and/or a chronically ill spouse can be a purpose. There’s not just one manifestation of seeking first the Kingdom of God. But there should be one direction, which is how I think it’s best to answer your question: Waking up each morning, asking God, “How best can I fulfill your purposes for me today?” That may mean focusing on a child or a spouse; it may mean the two of you doing something together outside the home. We take it day by day, renewing our intention to live each day with the Kingdom of God as our motivating priority. As always, thanks for your insights Brother! I know you’re not saying that marrital intimacy isn’t important. Couldn’t such pursuits end in false intimacy? I mean being busy, even together, but separate? What about the marriage where the partner is happy pursuing anything else but oneness? Good questions, James; I probably wasn’t as clear on this post as I would have liked to have been (it’s tough when you’re always trying to keep the word count down). Notice I talk about helping your spouse pursue their calling in Christ (as well as you pursuing yours). That, by definition draws you closer to each other (to find out their calling and support them in it) and thus builds intimacy. So it’s not either-or; intimacy or purpose. Sharing and encouraging each other in your purpose is what serves and strengthens intimacy. Mere busyness can certainly be a competitor, but not a SHARED passion for the Kingdom of God.